In fact, R-value of insulation is the most important guiding factor on the ability of the insulation to reduce heat flow up or down. As a result, the higher the R-value the better the insulation properties when it comes to roof insulation. In fact what this means is by increasing or decreasing the thickness of the insulation one can change the effectiveness. 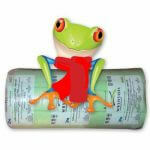 Importantly remember that compressing insulation will reduce the value of the compressed thickness of the insulation. With regards, U value the lower the better. A lower U-value equals a higher R-value. 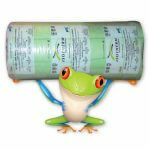 All Roof Insulation and Ceiling Insulation products will always be quoted in R-value. Therefore the R-value of Insulation is the standard measure of Roof Insulation and Ceiling Insulation ability to reduce heat flow. In all cases, the thicker the insulation the higher the Insulation R-value will be. Having said that not all insulation products are equal. In fact, some Roof Insulation products will achieve a higher value on a thinner Roof insulation. The Higher the R-value the better the Thermal Insulation Properties will be. In fact, some insulation products will achieve a higher R-value on the same thickness than other Roof insulation products. Sometimes this can be affected by the Roof Insulation density. As some manufacturers will have a lower density and a higher thickness. Other manufacturers will have a higher density and a lower thickness. What is better you may ask? Well, nothing really because the R-value will be the same. However, in my opinion, I would rather opt for the achieved R value of the thickest insulation. Roof Insulation products like Aerolite Insulation and Isotherm Insulation achieve the recommended R-value. So how would we calculate the thermal properties of roof insulation of the specific roof insulation material using K-value? In fact, this is quite simple. Check the thickness of the roof insulation in relation to one meter and multiply this by the K value of the roof insulation. So if the roof insulation is 145mm thick you will multiply .145 ÷ K value= R-value. For example, let’s say we have Aerolite insulation that is 135mm thick and the insulation has a K-value 0.04. 135 divided by K value 0.04 = R-value 3.37. This would be SANS compliant for the Western Cape region. Remember R-value only takes conduction into account and not convection or radiation. There are times when you would only take U-value into account. On the building of walls and window options etc. In fact, the U-value of a home is a combination of the opposite of the total thermal resistance of this element. This is the measure of heat loss through the thickness of insulation. However, this includes all three heat loss factors. Namely Conduction, Convection, and Radiation. Remember the ambient temperature outside the home plays an important roll in the calculation of U-value. Importantly remember the lower the U-value the more effective the Insulation will be. In fact, this same formula can be used when calculating brickwork for side walls. Once you have factored the value of the walls with the cavity space you can then work out what thickness insulation to fit between the walls. Insulating the walls with polystyrene or Isoboard will give a huge Rvalue. This, in turn, will make the home far more energy efficient. Calculating U-value is a very complicated exercise and is better done on a U-value calculator. Giving an example of the value of standard brick walls with cavity gap approximate U value 1.6 W/m2K approximately. Another example of drywall partitioning with cavity space value 1.5 W/m2K with the correct thickness U value 0.18 W/m2K. This is almost six times more efficient than the drywalling. A solid wall will give a U value 2 W/m2K approximately. However, remember when considering Rvalue or thermal resistance the higher numbers are better. As energy has become an important factor in the building of all new homes the U-value has become an important factor when building homes. The lower the U-value of windows doors and walls the better the energy saving. When it comes to the roof space R-value is King and the higher the Rvalue the more efficient the Roof Insulation properties. Double glazed glass windows 1.2 to 3.2 dependent on type and thickness of the glass. As we can see some options have rather large U value in effect this is not effective in energy conservation. 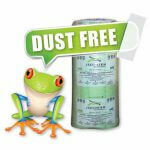 The 145mm Isotherm will achieve an R value 3.70 when installed. This takes into account the R-value of roof and ceiling at R-value 0.40. 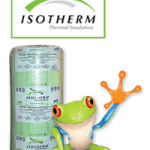 For more specification on Isotherm read this. The 135mm Aerolite will achieve R value 3.70 when installed. This is also including Roof and Ceiling at R0.40. For more technical specifications on Aerolite read this. Need more info? contact us for a free quote. All products have what is called Thermal Resistance and the R-Value defines the speed any material or product will lose heat. It is common sense for insulating material to retain heat well and the R-value is a measure of how good a product or material is at doing so. The R-Value is proportional to the thickness of the products or material. Likewise, the value is inversely proportional to the thermal conductivity (K-Value) of the product. Read the specifications of the Isotherm as well as the specifications of the Aerolite. 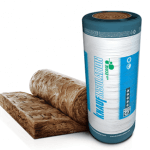 In fact, read the specifications of any insulation that you would need to purchase. This will give you a good idea of selecting the correct insulation. 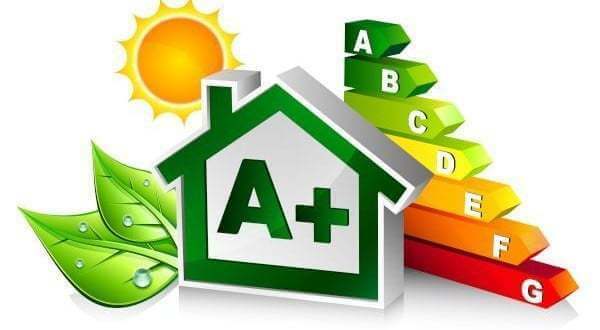 In simple terms, the best insulation material has a high R-Value because it is generally thicker and denser and has a high level of thermal conductivity. Thermal conductivity is the measure of heat transfer which in insulation refers to the amount of heat lost and how fast. 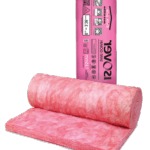 There are many different types of insulation product on the market, each claiming to be better than the other. The truth lies in the R-Value and the K-Value. 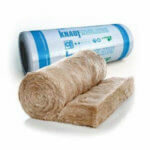 All insulation products are sent for testing to ascertain the K-value after manufacture. Having the R and the K values helps you determine the most suitable insulation product for your building. Installing the correct Thermal insulation is critical.